The game runs fine when I open as administrator, but the mouse isn't working for me either. The cursor moves but doesn't register when I click. During inti Touch Screen is MOUSE and Camera is MOUSE. The command keys and space bar work. I also tried using DxWnd and making it like the screenshots you posted. When I try to run the game with DxWnd it just freezes immediately. Thank you for any help you give! 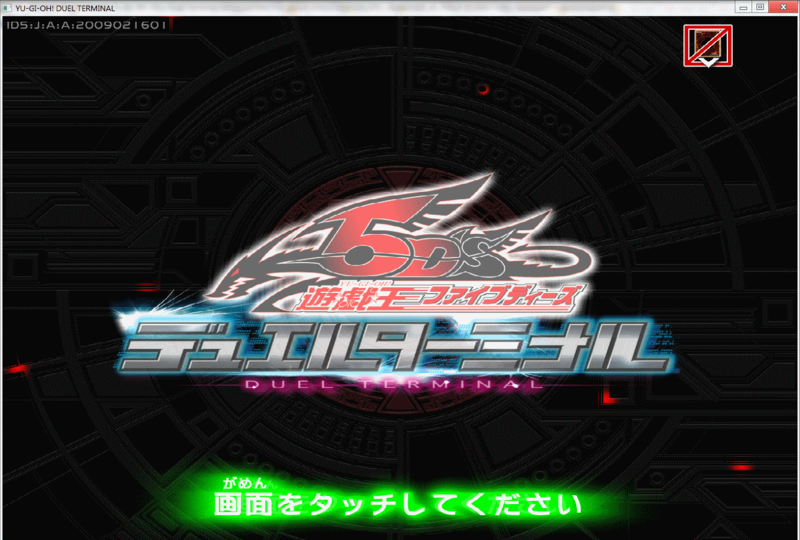 @Mohkerz I was just able to purchase the system discs for a later version of the Duel Terminal. I've never made a dump before, but if it's not difficult, I would be happy to make a dump of the discs if you're interested. You have DVD or hard disk ? 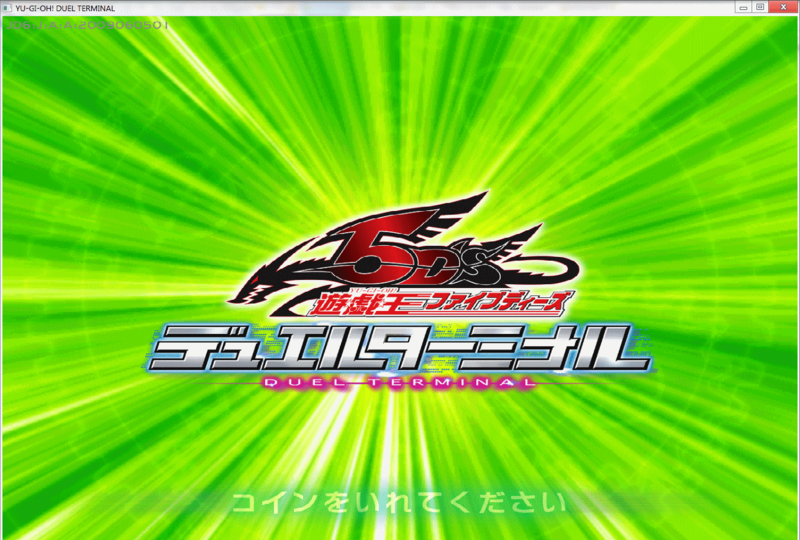 I have the DVDs for the second to last Japanese Duel Terminal version. I was also able to get the DVDs for several other earlier versions, too. Looking forward to your fix! Thanks so much! Let me know, id like to make it happen. Sure! I'm waiting for the discs to come in the mail. I should be able to work on it and upload by the end of the weekend. Do you know of any alternative ways to make an ISO of the DVDs? Imgburn is apparently loaded with malware now. Well, there is plenty, like Winimage, ISObuster, and even win10 system tools. Just follow a 2 step tutorial like install software, click make iso.... good luck,it's easy. I found a way to get a safe version of imgburn. Here's the link to the files. There are 2 application discs. They are for the second to last Japanese Duel Terminal. Copy and paste the whole link. Or if you click, the gray part of the link is the decryption key. I also have other older versions of the Duel Terminal. I could also upload those if you would like to work on them to preserve them. Let me know. Do you still plan to put out the fix for the current version? Thanks so much for working this! I was waiting for New files to work more on this. Ok, here is new gameplay video from latest version of YuGiOh! Duel Terminal #13 Sacred Star Knights.... generously offered by Blaze Accelerator 1. I did things a bit differently and now it should work for everyone. so maybe it's worth having them all playable, let me know, crazy yugioh dumper if you have some more. Thanks again! And what we really need now is an english version of that game. Yeah, the different versions have different mini games. 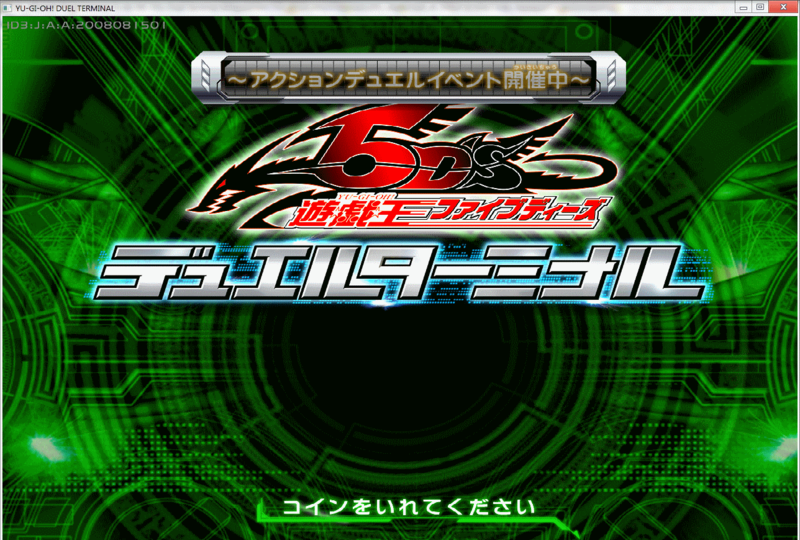 I have 8 other versions including Pulse of Trishula and the original Duel Terminal. 1 is for Omega's Judgement, the first one you were working, if that could help with anything. I'd be happy to upload them all. yeah nice to propose, i'll take that! upload them all, i'll be happy to make them all work! DT 8 Pulse of Trishula! !, DT 3 Justice Strikes Back! 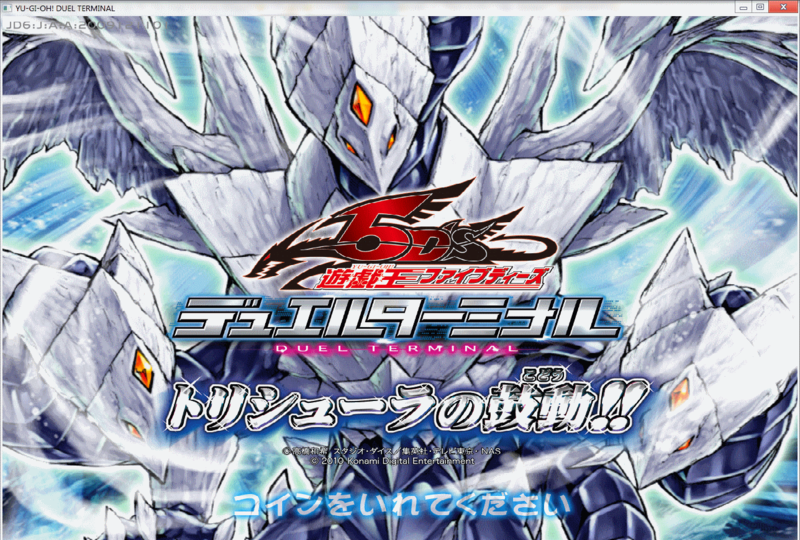 !, and DT 6 Whirlwind of Dragunity!!. These all have just one application disc each. So if possible, could you please upload the install disk from the first released duel terminal too cause i dont have it? Do you know what is the source of new disks you uploaded? Let me know if you have any knowledge as it seems you have.... Id like to know all revisions, and any manual would be appreciated. The first version you did was DT11 in the Japanese version Omega's Judgment, which would have been I guess DT5 in the English version. The Japanese version changed with each card set that came out, while the US version combined every 2 sets into one. Do you mean the install disc from the very first duel terminal? Each version has a system disk that came with it but the instructions say not to use it except for re-installation in the event of system recovery. That's interesting. Each disc set came with a conversion manual and according to them for the 3 that I uploaded there is only 1 application disc and 1 system disk. Maybe it just needs the system disc? According to the manual, you just need to put in the one application disc. I haven't made any revisions. I just got these discs. I can send some pictures of the manuals, but they're all in Japanese. This is for DT 5 Ruler of Chaos!! This one also has only 1 application disc, but I included the System Disc. Again, it's only supposed to be used to reinstall the main system, but maybe these application discs need that because no other application discs exist. I figured out the problem. The source changed somehow on imgburn and it was just putting out copies of the last file in the one you got working. It wasn't actually reading the discs I put in the drive. I'm starting to re-burn them now. I should have most of them up later today. Here's 2 of them. They definitely have different files now. These only have one disc each. DT 8 Pulse of Trishula!! DT 3 Justice Strikes Back!! If there's still any problems I'll try uploading the System Discs for these. These also have just 1 application disc each. DT 6 Whirlwind of Dragunity!! DT 5 Ruler of Chaos!! These have 2 discs each. Thank you both for all your efforts! A few years ago I played a lot of the DT mini games, from DT1 to DT14, so I know practically everything about them. If you want me to, when the games are playable, I can help you to create a guide so that everyone knows what to do. Thanks, that would be great if you could! I never had a chance to play too many of the mini games, so I'm unfamiliar with most. If everything works out, we should have DT 1, 3, 5, 6, 8, 10, 11, 12, 13. The games and mechanics changed drastically when the Zexal characters were introduced, but it’s great to have all those available. I also have a bunch of DT cards. Perhaps they can be useful to spoof the cards on the emulator. If you scan three of the same archtype, you receive a bonus.